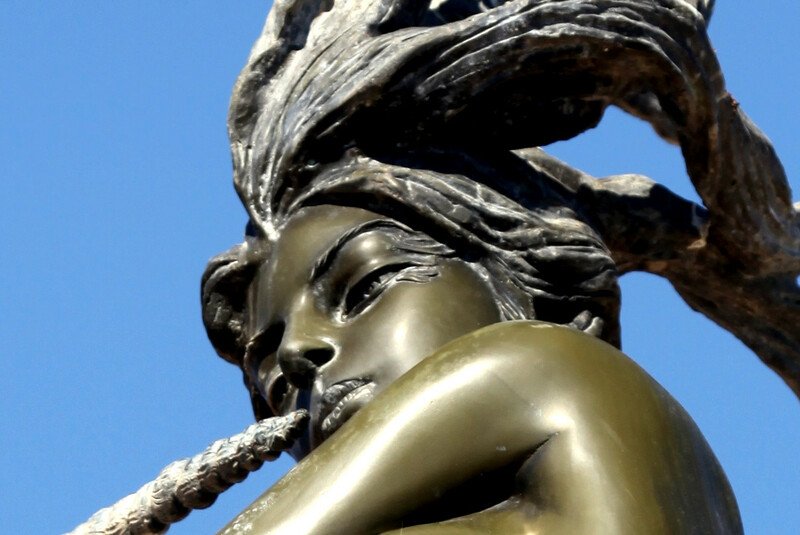 The Russian mermaid statue at Soter Point in Ventura, California was donated by Alec & Tatyana Benke to the city of Ventura in 2009, and placed at Soter Point in collaboration with Samuel Povar and Andy Soter. The statue stands on a base created by Alec. With the base, the sculpture reaches more than 20 feet into the air. 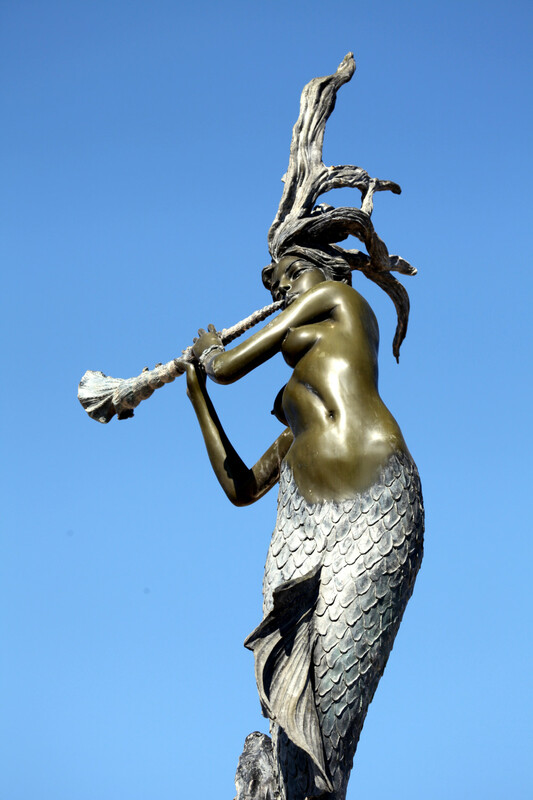 The mermaid sculpture is meant to be a water fountain, but there is as of 2013 no water yet – although it is planned. See more photos at the Soter Point Mermaid page.